Here's to the tastiest awards show of the year. 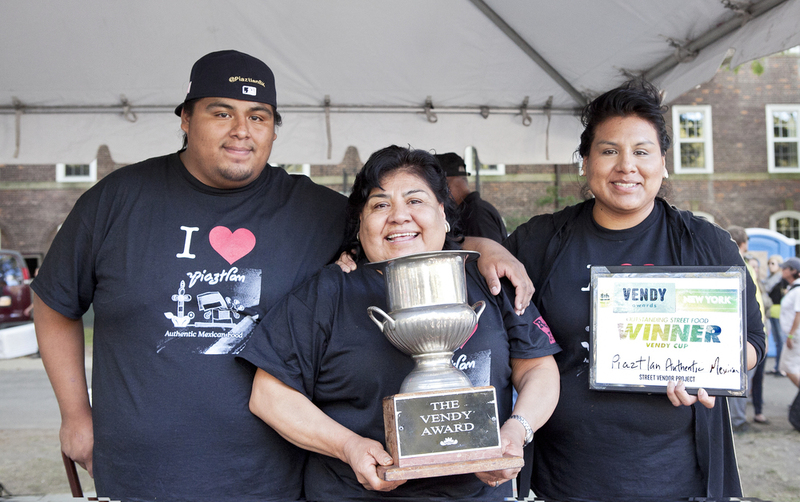 Food truck fans, get excited about the approach of the tastiest awards show of the decade: The 13th Annual Vendy Awards. 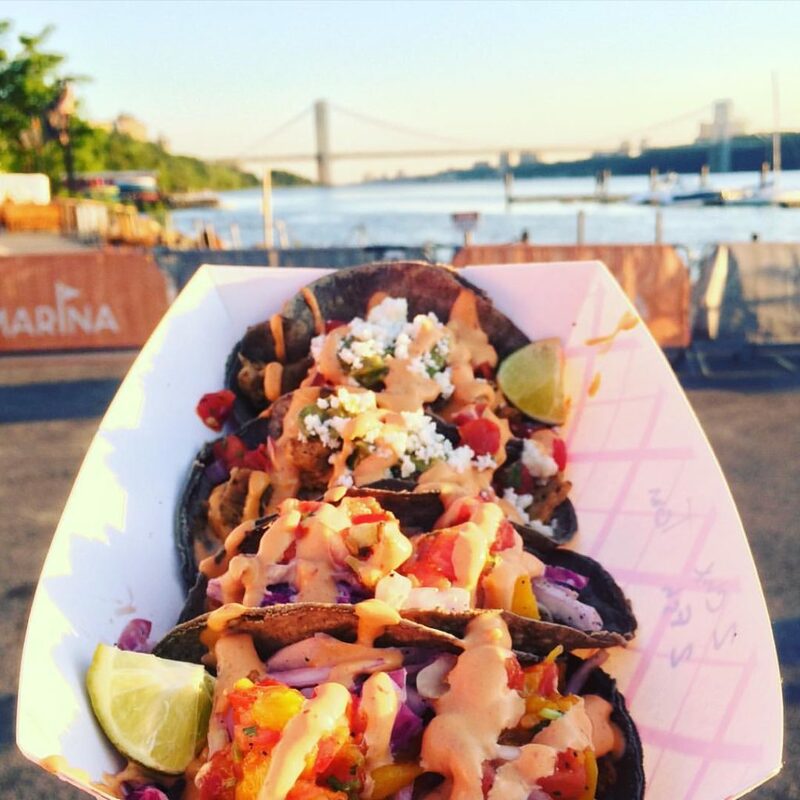 Every year, New York City hosts the first and most intense cook-off series to determine the best street food in the area. Truck vendors grill, fry, and toss food throughout the day to be judged by several distinguished celebrity critics, TV personalities, and by the attendees themselves. You read that right. Guests are invited to participate in the event by purchasing tickets to sample fares by publicly nominated “sidewalk chefs” and vote for their top picks. 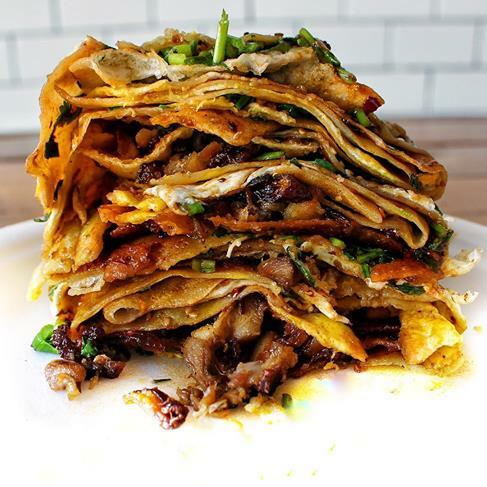 Mr. Bing serves their take on the popular Chinese street crepe, Jianbing. This is a green bean and rice crepe filled with scrambled egg, scallions, hoison sauce, sesame seeds, chili paste and lots of crunchy wontons. You can also get it filled with tender meats like BBQ pork and duck. Los Viajeros is a food truck owned by a Brooklyn couple with history in the food industry. They serve specialty foods inspired by their travels in different countries around the world. Fans rave about all of their different Cuban, Mexican and Dominican concoctions, always made with fresh meat and vegetables. Monk’s Meats founders, vegetarians for over two decades, have been sharing their amazing vegan BBQ creations with the people of Brooklyn and NYC for over three years. 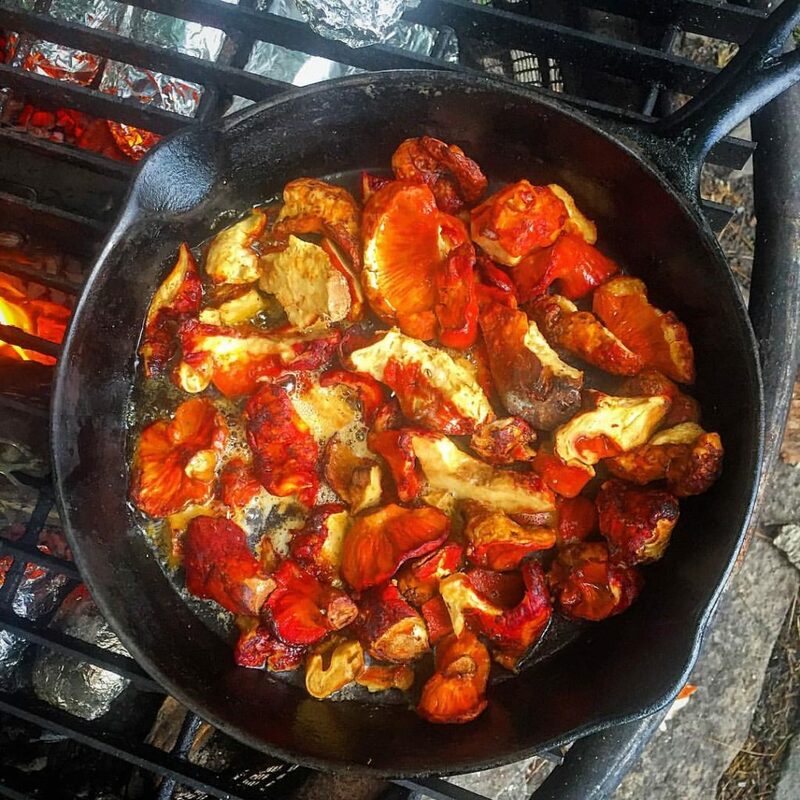 Their smokehouse, a favorite at Smorgasburg, specializes in delicious seitan and soy creations. Bamboo Bites does street food like no other. 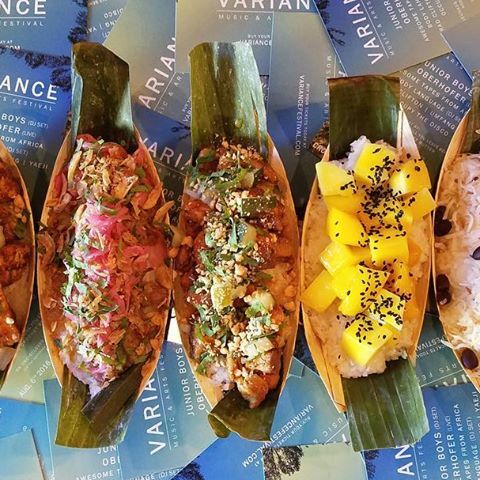 With a focus on sustainable, vegan ingredients, this truck uses flavors only from places where bamboo grows. One of the most popular dishes includes coconut sticky rice, sesame seeds, and peanut sauce. 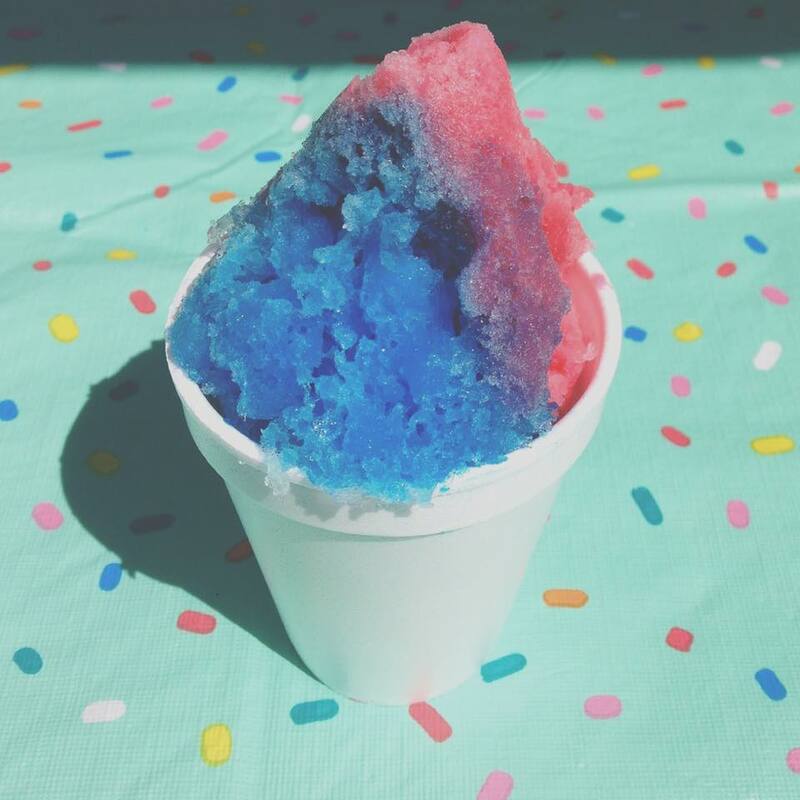 Sweetface Snoballs are crafted to resemble the tasty street food usually found in New Orleans, made with unique patented machines. They serve local flavors like “creole cream cheese” and “nectar” and give you the option of topping each flavor cone with condensed milk. 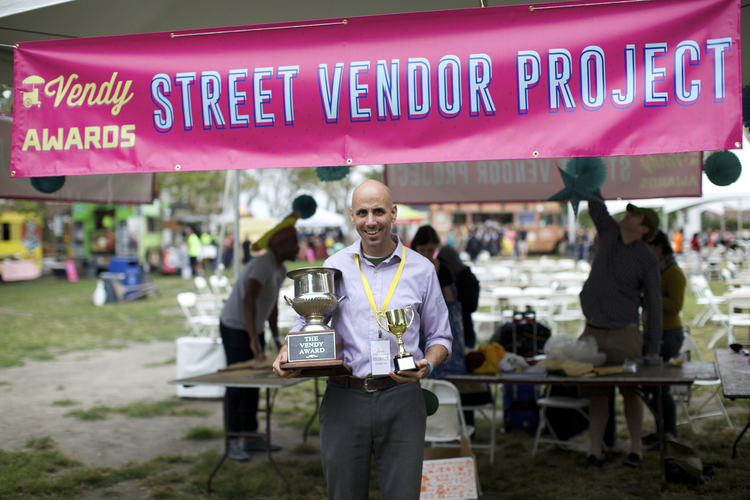 The Vendy Awards itself also serves as a charity event to raise money for the Street Vendor Project, a non-profit organization that speaks out for the rights of the 10,000 + street vendors in NYC in addition to other cities. These small business people work long hours in harsh conditions just to sell their goods in public to make ends meet. The Vendor project is committed to helping these stores grow by getting them loans and teaching them their legal rights and responsibilities as citizens. Pretty awesome, right? Feel like going to this delicious event with a good cause? You’re in luck. Food Moves app is buying two lucky followers tickets to the Vendys, where they will be able to sample foods from all of the top trucks and tell their opinion to renowned food critics. You should definitely enter the raffle on their website for a chance to win!